The literary recital will launch the ICV's photography contest "a world of diversity" to highlight and maintain the differences of those around us. 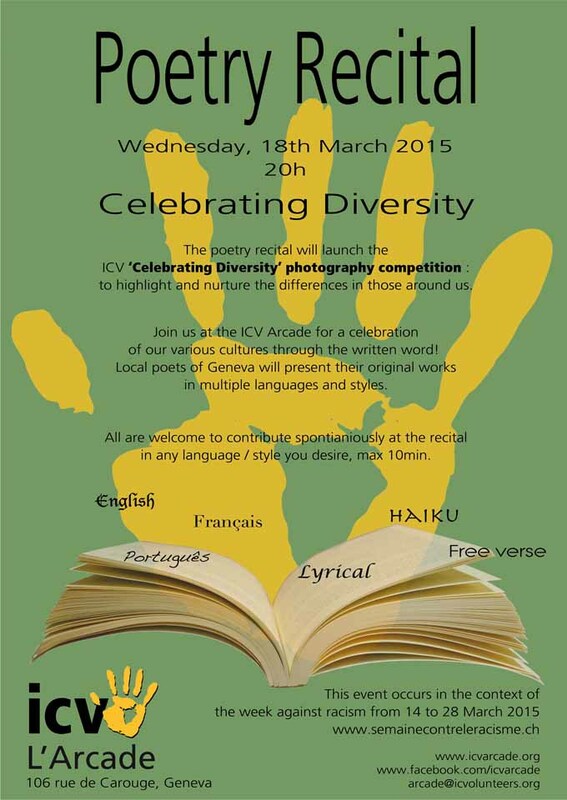 Join us at ICV Arcade for a celebration of our diverse cultures through writing and poetry! 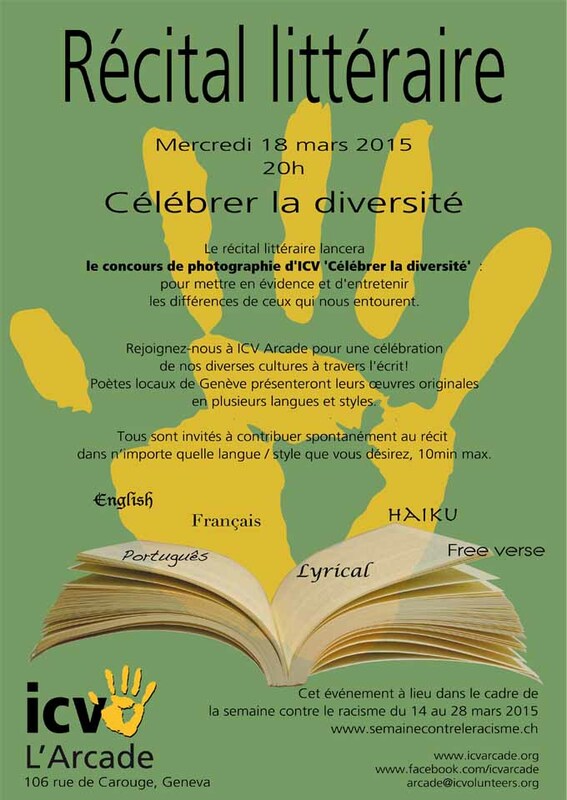 Geneva local poets will present their original works in several languages and styles. Everyone is invited to voluntarily contribute to the narrative in any language / style you want, 10 min. maximum.